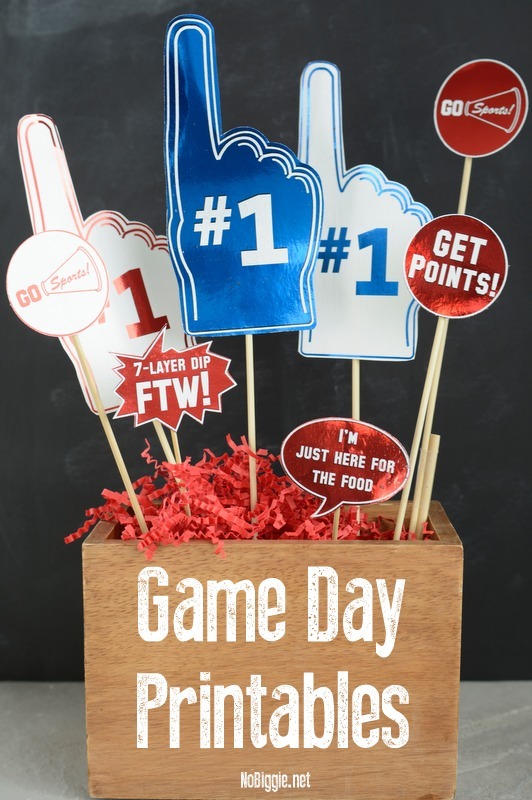 Funny Printables for your Game Day Party…perfect for Super Bowl Sunday. 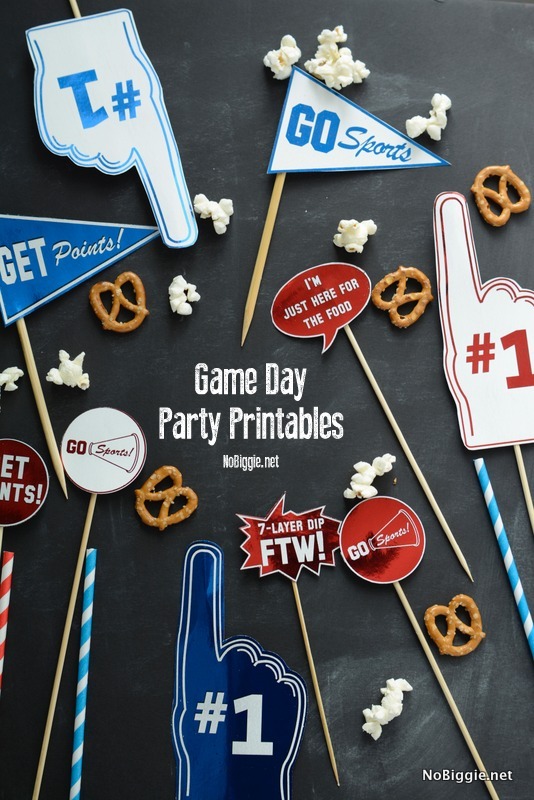 As promised…here are the fun (funny) Game Day Printables to use for the Big Game coming up! 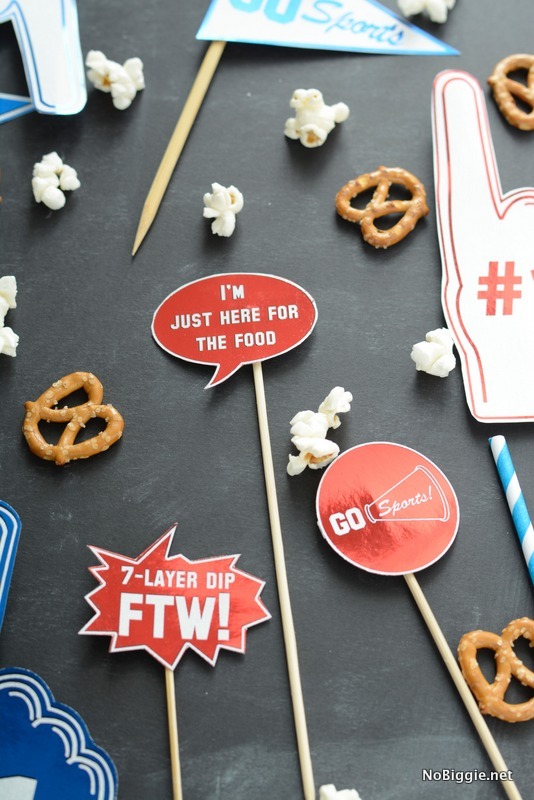 It’s an easy way to add a little flair to your party spread. 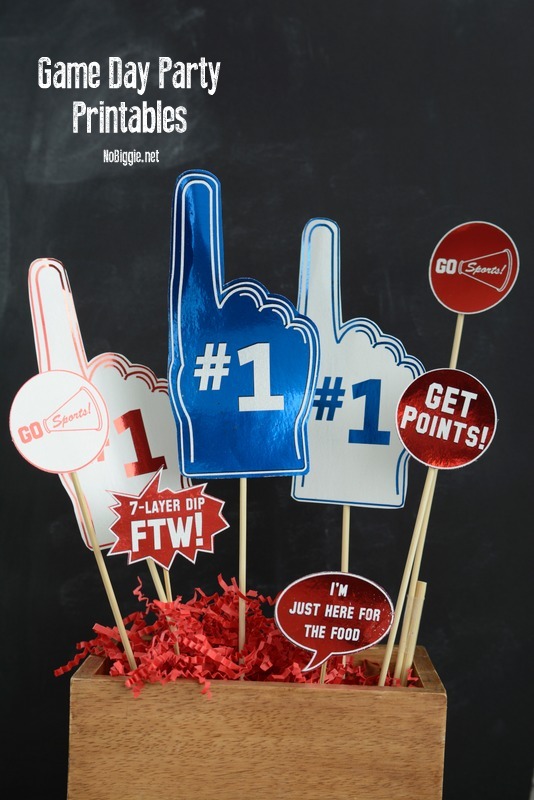 If you’re planning to host a party, be sure to check out my top 5 tips for hosting the perfect watch party. These printables are a little on the snarky side should we say?! It’s for the non sporty yet happy to get together with friends for delicious food and hilarious commercials type of fan girl. 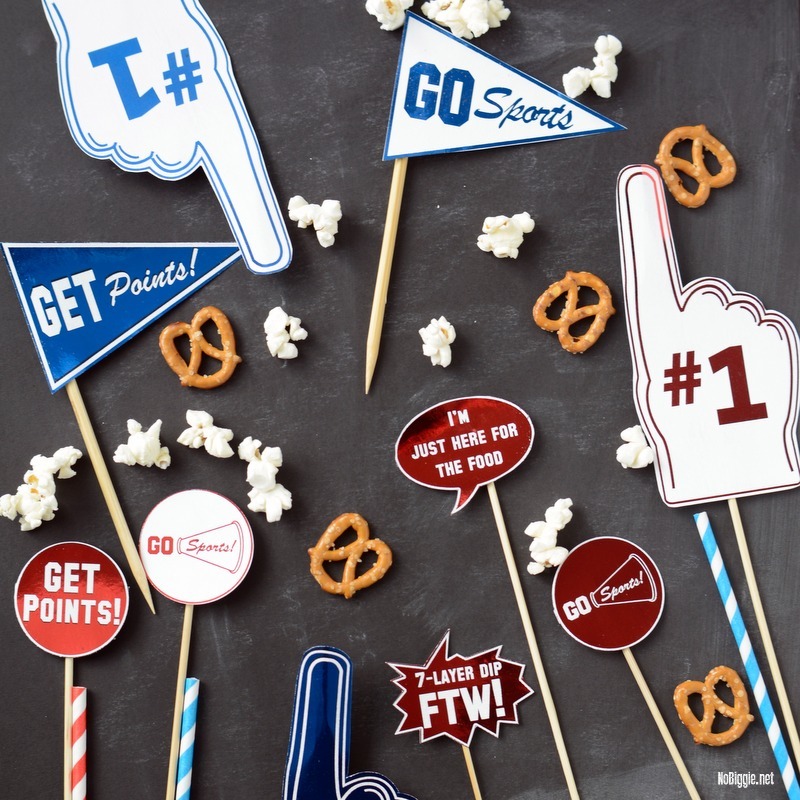 You get the idea…basically you can use them for any sports watching party, they’re good to use year round! Aren’t they funny?! So generic it’s funny…Go Sports! Basically it’s two full sheets of printables, three different ways. 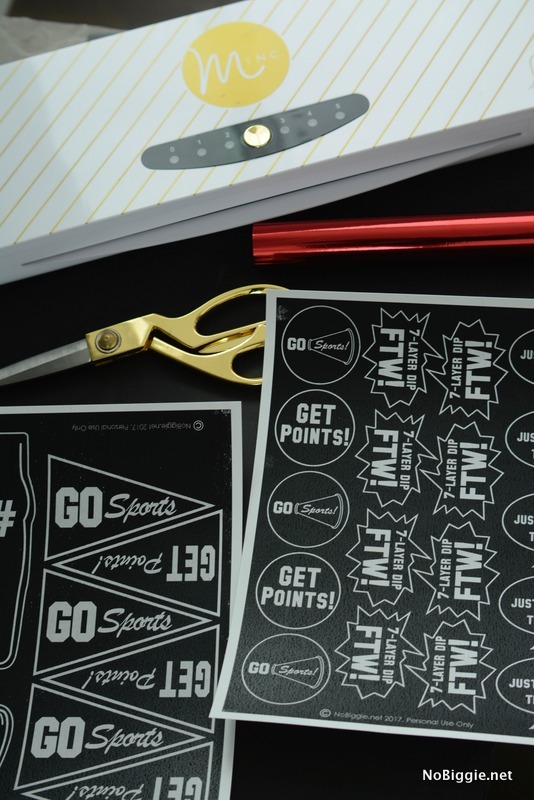 With the Minc foil application machine you can add any color foil to wherever there is toner printed on the paper. You then run it through the Minc machine for the foil to stick. 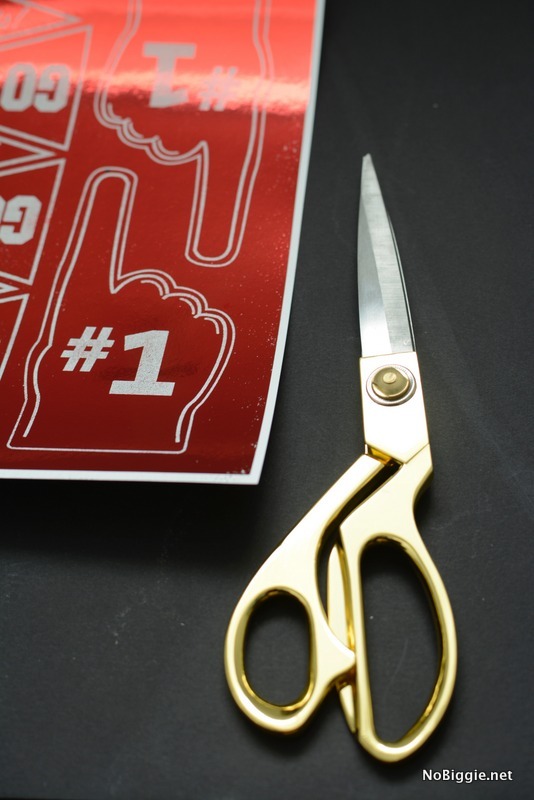 Once you’ve printed them out and or added the foil, you can then cut them out and stick them onto wooden skewers or toothpicks. I hope you all have a fun day with family and friends! Go Sports!! Don’t miss all these awesome appetizers and Game Day Dessert ideas.